WOODBRIDGE, N.J. May 09, 2018 — Bergman Real Estate Group, a real estate investment and management firm based in Woodbridge, New Jersey, announced the opening of the Wall Street Cafe, lounge and game room, and shared conference center at 1099 Wall Street West in Lyndhurst, New Jersey. The firm held a grand opening event for tenants earlier this month, which featured coffee, pastries and breakfast fare offered by Wall Street Cafe. Tenants were also given a first look at the brand-new lounge and the shared conference center. Wall Street Cafe offers a full line of breakfast and lunch fare, including breakfast pastries, paninis, wraps, salads and soups. The cafe also offers catering services for meetings. Tenants can utilize the conference room for presentations and group training, with seating in several configurations for up to 16 people. The modern center is outfitted with a 65” Smart TV and two glass boards. The adjacent lounge, outfitted with comfortable seating and TVs, offers a space where employees can relax and recharge throughout the day. The new cafe, lounge and conference center are part of a multimillion dollar capital improvement program to create an appealing, modern and relaxing environment for new and current tenants. These renovations included upgrades to common areas and corridors, carpet replacement, bathroom upgrades, new lobby furniture, and enhanced landscaping. Bergman acquired 1099 Wall Street West, a 120,000-square-foot, 3-story office property, from a private equity fund in 2016. Tenancy has increased by more than 25% since acquisition. 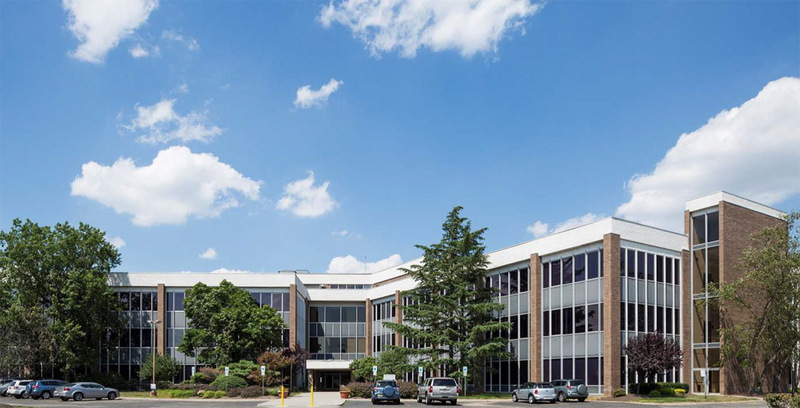 The property, one of the first office buildings to be built in the Meadowlands, offers direct access to Routes 3 and 17 and is only minutes from the New Jersey Turnpike and the Garden State Parkway. NJ Transit bus service to midtown Manhattan is located directly in front of the building, and trains to Manhattan are available from the nearby Kingsland and Secaucus train stations. Office suites are available, ranging in size from 1,070 square feet to 4,817 square feet. For more information, visit www.BergmanRealty.com or contact Isabel Freire, Assistant Director of Leasing and Marketing, at (732) 855-8600 ext. 120. Founded in 1988, Bergman Real Estate Group is a privately owned, full-service real estate investment and management company. With 30 years of history operating in New Jersey and other select markets, Bergman has earned a solid reputation as a reputable and trustworthy owner/manager. The company’s fully integrated platform includes acquisition, ownership, asset and property management, leasing and construction supervision. Bergman, which has built its success on acquiring and successfully repositioning underperforming properties, currently manages 18 office buildings comprising 2.0 million square feet.